Mama Marcie: Oak Cliff Earth Day... Sunday, Sunday, Sunday! Tomorrow, Sunday, April 20th at Lake Cliff Park! 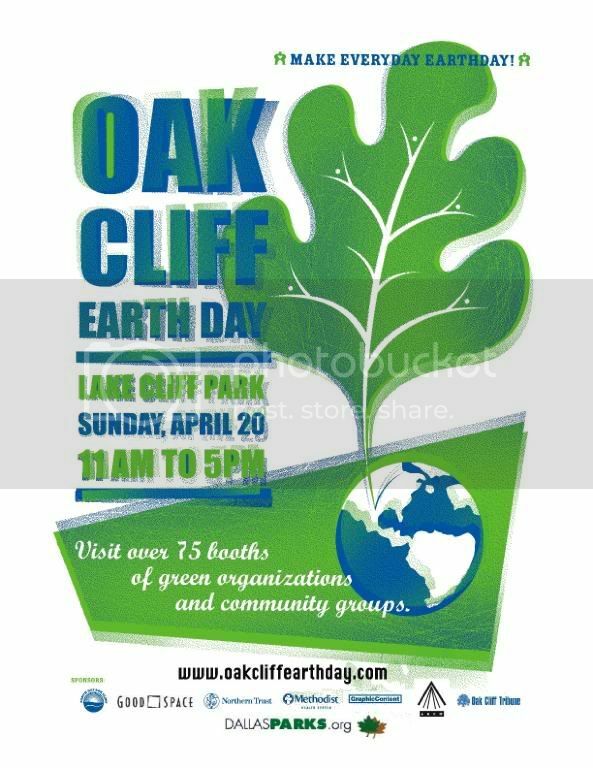 Come celebrate the Second Annual Oak Cliff Earth Day at historic Lake Cliff Park in Oak Cliff. Become a part of our effort to save and protect our environment. Visit information booths on environmental issues and products. Enjoy the all day entertainment, browse and shop art from local artists and eat great food. Bring your children, your pets (on leashes), and your family. See things such as: a Butterfly garden; beehives under glass; local community groups and green organizations; local food vendors (yum! ); an awesome art show with artists displaying anything from photography to paintings to jewelry to blown glass to clothing (all available for you to purchase); a plant sale and organic gardening info; hybrid cars on location; a children's area complete with a bounce house; and live music all day long! This will be a fun filled day for all ages! Hope to see you there!